In today’s show, we are privileged to be joined by best-selling author, educator and one of the biggest names in Australian property investment, Jan Somers. Jan has literally been responsible for changing the lives of thousands of everyday Australians through her books and teaching on property investment. In this interview you will hear timeless and practical wisdom that you can put to use immediately and she also shares with us her amazing journey (including the mistakes) to property success. Wealth is the abundance of what gives you pleasure. Stick to the formula, stick to the basic property, do what you enjoy doing and don’t go out of your comfort zone. A location that’s handy with a decent amount of infrastructure makes the best investment. Narrator: Did you know with just two investment properties and one single renovation that you could put over a million dollars in the bank? It’s true, and why stop there? Welcome to Your Property Success Podcast. The show that explores the practical steps to making your property investment dreams a reality. And now here’s your host, a lady who was voted by her classmates as the most likely to become a nun, Jane Slack-Smith. Jane: False. You know it’s false. That’s you and John Blackman setting me up for your own amusement, right? Jane: I actually was a bit of a goody two-shoes, head captain of the boarding school, head of the library committee. John: Now you’re just showing off. Jane: I never actually fell under that. John: They might have done it while you’re away that day. Jane: Possibly. I was never away. Good attendance record. John I am so excited about today’s show. Just to let you all know, when we threw around some names here in the office of who should be our very first guest on the podcast there was only one name that really came up. John: Yeah, it was pretty unanimous. 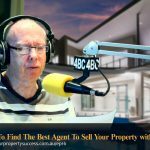 Jane: And that is none other than best-selling author, educator, and one of the biggest names in Australian property investment Jan Somers. She has literally been responsible for changing the lives of thousands of Australians through her books and teaching. 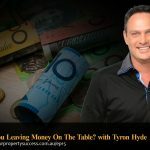 And you’ll hear all about that and some timeless property investment advice I’m sure in this interview as she shares with us some of her amazing story. Jon, can you tell me about Jan Somers? John: I’m a huge fan. My father-in-law gave me I think it was Building Wealth Through Investment Property in 1999. It was just a revelation to me because I really didn’t have any real experience of property investment, didn’t understand it, didn’t really know what was possible. It really opened up a whole world for me. Jane: I also read her book in 1999 and I just devoured all of them quickly. I love the case studies books so that building wealth through story by story. And I’ve still got here on my bookshelf. Her books are front and center because they’re timeless. What she taught is as relevant today as it was then, simple, practical tips. John: And the way it was laid down it’s so accessible in layman’s terms. So for someone like me, I was a tradesman, I could read it and it wasn’t financial kind of gobbledygook. It made sense. It’s something that we could take in and apply. 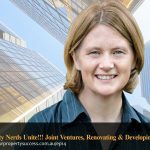 Jane: Guys, settle in for an absolute real master class and the fundamentals of good property investing today with one of Australia’s most respected experts, Jan Somers. Jan, welcome to Your Property Success Podcast. Jan: My pleasure, thank you. Jane: Gosh, I don’t know where to start with you. I’m so excited to be speaking with you. And there’s so many things I can ask. I guess a big picture. If someone was in seat next to Jan Somers on the plane and ask you what you do for your living, what would you tell them? Jan: I’m fairly anonymous in most situations. My answer is usually I’m a retired teacher with the emphasis on retired and ex-teacher. We started a software company. Most times I don’t even need to know what that is, and I dabble in property. But I’ve never treated property as a kind of sales pitch for me or anybody else. I’ve treated it, heaven forbid, like an Amway product that I can make money from or I need to spread to someone else. It’s not a religious belief or anything. But I think staying quietly in the background to help with the credibility as well. Jane: And I think that’s such a lovely thing about reading your books and getting to know you through articles and magazines for me over the last 15 years, and for a lot of people a lot longer than that is that you are very humble with what you’ve done and so practical with your advice. You’ve written a lot of books. I think four out of the five books you’ve written have been about wealth in the title. What is your definition for wealth? Jan: It’s an abundance of what gives you pleasure really. It can be possessions, it could be money, it can be your health, it can be your family. And for everyone that description of wealth is really different. I guess he is richest whose pleasures are cheapest. For me, although I have many pleasures that are very cheap, it was also very important to be independent. So wealth to me does need a large degree of independence together with my husband and family. Jane: And I think one of the things about you and we’ve called out to our students to list down some questions they’d like to ask. A lot of people came back and said, “One of the inspiring things that they’ve read about you over the years is that it’s not just about wealth but it’s also about health. You’re probably one of the fittest people out there that we all know. Jan: I could well write a book on health I’m sure. Jane: I think Jan Somers wealth and health is a book that we’d all read. Jane: Jan, you obviously have had an amazing career. And as I said in the introduction you’re a best-selling author. You’re a respected educator and a public speaker. Where did it all start for you? Where did property investing really come on your radar? Jan: The first house we bought at the end of 1972, a month before we were married. The only reason was because our parents have said this is the order that you do things. You get married, you buy a house, and then you have a family, etc. So that was kind of fulfilling the familial requirement of 1, 2, 3. But then when we moved at the end of 1973 being a little bit naively we didn’t really want to sell so it became our first investment property at the end of 1973. And from then on, that was 43 years ago, from very humble beginnings we’ve acquired quite a substantial portfolio. And I remind people that that particular house that we still own today was only 7.4 square. So when people get grandiose ideas about this property I remind them that that’s where we live. Jane: Gosh, so it’s a very humble beginnings. I bet a lot of advice from mom and dad kind of helped you on the way to property. Jan: In a sense yes. Jane: I remember one of the stories in the first book that I picked up that I’ve read of yours that really struck me, there seem to be kind of a chance conversation you had with a real estate agent that gave you the opportunity to think that maybe you could invest without paying off your home first, is that right? Jan: Yes, we had quite a few properties by the time we went to Sydney at the end of 1980. We’d already had a trip of 5 months overseas. So we were fairly comfortable but we still had no idea about borrowing money and buying a place in Sydney was really, totally out of the question. And when I say totally out of the question at that stage properties down there were about $75,000. We had quite a few properties that were still in the $40,000-$50,000 range but we didn’t particularly want to sell, but we didn’t have any cash either. I started looking at some properties with an agent and I don’t mind saying he was from Raine & Horne at that time in Sydney. We looked, and we looked, and we looked and I said, “I really can’t afford these. We have to sell a place to buy in Sydney.” “What have you got?” “Up in Brisbane we’ve got this, and this, and that.” He said to me, “Lady, with what you’ve got you can buy four properties in Sydney today.” And I’m here thinking that he’s just one of these sales pitch real estate agent who’s trying to bring me down the garden path and sell me heaps of properties that I can’t afford. He explained how to use the equity and I have to admit at that time the penny store didn’t drop. It was another year or two after that in 1982 when our first son was born that I had time to sit, think, and reflect, and away we went. But it’s like anything, you have to be ready when that teacher appears. Jane: It’s interesting. I’m embarrassed to say as well because now I had a mortgage broker business for 10 years. But when I first heard 15 years ago that you didn’t have to pay off a property but you could use equity from a property to kind of leverage yourself out, it was just an absolute light bulb for me. This conversation, reading that was one of the moments when I thought, “Oh my gosh, this is amazing.” But I still speak to people today who don’t realize that which is limiting. Jan: This was a big revelation back then. It was pre [Unintelligible 00:09:34] days and pre-financial regulation. It was really a totally innovative idea. It’s not so much these days but those were the days in the early 80’s when you really did need a cash deposit, and to suggest that you might need equity was just totally out of left field. So it wasn’t the common thing. It took me a little while for it to work out and for a bank to agree that, “Yes, we could do it this way.” But it was definitely not the trodden path. Jane: Yeah. You’re a bit of a trailblazer for all of us. I think it’s amazing isn’t it that way back then in 1980 when the median prices around $75,000 it seemed too expensive for you. And now we fast forward to today and the median price in Sydney is over a million dollars and it’s still very expensive for a lot of people. Jan: Yes, that’s a fact of property. But I’m always told that we bought the properties were cheap. And of course that doesn’t always mean no end but at that time they were very expensive and people forget that. Jane: I get told that I’ve been very lucky when I bought my properties which drives me crazy. You had to work very hard don’t you, work very hard to get lucky. Jan: Luck comes with a lot of hard work. Jane: What were first steps. It sounds like you obviously turned your home into an investment property. There were four or five more properties then before you came to Sydney. How did that kind of transition go that’s keeping these properties or buying? Jan: They were all by accident really. I think the first three or four properties we lived in it. We moved. We bought another one because we couldn’t bring ourselves to sell the one that we had just left. And we’ve done that. I think half a dozen of our properties are all ones that we had lived in at one stage or another. And that wasn’t a process of we must keep this because this is the formula that works. It was kind of just a modular reaction to I don’t really want to get rid of this. So it was like a hoarding attitude more so than an investing attitude. Jane: I gather that you say that these were kind of by accident. Were there some mistakes or was it a big of a trial and error to build up your portfolio then? Jan: There were lots of mistakes. I think the biggest mistake was with a non-event and that was not by not borrowing enough early on, and not understanding that my personality was not suited to particular types of investing. We dabbled in let’s buy an old property and renovate it. That didn’t work. The only reason we made money was because the market had moved in the meantime and we’re lucky to get our money back. But I still make a lot of mistakes. I’ve dabbled with developments, subdivisions, and building. And while I quite like building I detest dealing with councils and things that are totally out of my control. And it’s taken sometimes 40 years to realize that’s not me. Stick to the formula. Stick to the basic property. Do what you enjoy doing and don’t go out of your comfort zone. Jane: It really is about I talk about my beige or my meat and potato kind of investing. It’s a bit boring but people like yourself have been doing it for 40 years and if it’s making money by buying the right property and the right location why get really clever? Jan: Why change a winning formula? Jane: Did you struggle early on? It sounds like it. You talk about being mostly but were you financially struggling with both the concept of property investing and financially having these properties? Jan: We always told our kids when we walk down the aisle and they wanted their chocolates, crisps and all of this. My answer was, “We can’t afford that.” It was probably not the right answer. I needed to explain to them that we could afford it but we had other priorities. So that’s the best way of explaining how we did accumulate a lot. We had priorities of you must pay the mortgage, you must put money into the loan first. And while we could afford the luxury TV and the luxury lounge it was not our priority. Therein lies a huge different to what a lot of people see today. The reason they can’t afford property is because they had other priorities. The holiday, the big TV, and the big fridge comes before this investment in property scenario. Jane: It is interesting, isn’t it? I talked to a lot of people and see their financials. And that whole keeping up with the Joneses, not everyone realizes this but the Joneses are broke. Jan: Usually the Joneses have got the Mercedes and the BMW, and they look the part, but underneath they’re struggling. They don’t have that financials and it doesn’t take very much to break it down. A very little glitch in the global financial crisis and they’re soon out of their mansion and into rented accommodation. Jane: Which is interesting isn’t it because just with some low risk strategies in investing, and we’re obviously talking about property now. But getting the formula right, and as you said following the system, it can actually create that wealth. Jan: Yes. And just to relate a little story for property that we bought in ’87 I think. It was just before [Unintelligible 00:15:00] and came back in legally. And it was $5,300. I had put in an offer. It was accepted and I had asked the agent could I just huff around and just check out a few dimensions of the property. When I went around there the people were loading all of their furniture into a huge truck. And the furniture was, remember this is ’87. This is 10 times better. They had the biggest TV on the market which was one of these 2-ton Panasonic lid weighted boxes. They had the most beautiful furniture. I said to them, “Look, if you really want to I can tear this contract up.” Why don’t you sell some of these furniture and use it to pay off your debts,” etc. No, we can’t live out all this. We spent too much money off it. Get something for it I’m thinking and at least put it back into a property. And I got the contract out the car. I said, “Look, I’ll tear it up if you want to do that.” It was already an approved, signed and sealed contract. No, and off they went. I don’t ever know what happened to them but it’s very typical today that people have these luxurious priorities that they think is important to them. Jan: There’s an interesting article on the BBC not so long ago and it’s Stuffocation. And it means that we’ve got so much stuff that we just can’t [Unintelligible 00:16:45]. It’s Stuffocation, also that was very appropriate that when we buy stuff we surround ourselves with stuff. They counted 2,000 odd items in a couple of bedrooms without even opening the drawers. And that’s where the money goes. It doesn’t sound like a lot at the time. We’ll just buy a $5 trinket or a couple of pairs of earrings that it certainly mounts up. Jane: Absolutely. I have to say, I was having a conversation over breakfast with my 7 year old son and husband this morning and I was looking at actually the book that my husband had picked up over 20 years ago in New Zealand, Making Money that you’ve co-wrote with Dolf de Roos. And my son said, “Making money…” and he’s always trying to sell X-Lego on eBay and stuff. And he said, “What’s that about mum? What’s that book?” And I said, “This lady who wrote this book, she started the inspiration for Daddy and I for buying houses. And that’s why Daddy can paint today and mommy and can now go and do this education stuff and help other people.” And he said, “Wow, she must be really great.” I was like, “It all started for us with a book.” Did it start for you with books too? Did you start picking up books and start learning this? Jan: It did but there were very, very few books around in the early 80’s. There was a book by an American called Robert Allen. He had a system of buying properties with no deposit, but they had a very strange system which they still have in America that there’s a lot of vendor finance that goes on. So he had this no deposit, screw the vendor for what you can and you’ll buy a property. But he had the same philosophy of accumulating properties and accumulating and accumulating, so that ultimately you’d finish up with a large portfolio of properties. But he kind of sent me as oppose afterward already bought numerous properties… Okay, this works in America. This must work here too. But the no deposit clearly doesn’t work. I think as I got my own thoughts together, [Unintelligible 00:18:51] is putting a lot of his books together at the time. And although he didn’t influence me he certainly enforced my ideas. And I became very confident in my own formula. He is a very smart man, [Unintelligible 00:19:11]. One of his little sayings at the time, “If you’ve got a lot of money where are you going to get the best interest rate? You’re going to get it in this bank,” and he named a few banks, or that bank, or this building society. Or do you have another suggestion? And of course people are trying to rattle off the Commonwealth Bank as this, from [Unintelligible 00:19:35] and on and on it goes. He said, “No, none of you are right. The best you will get and the best you can do for your money is in a concrete box in the backyard where you can never get it. Because when people have got access to money it’s just spent. What your income is, you will always spend that income plus another 20%. People always spend more than they earn, no matter what, the lowest and the highest income. He had a lot of good parables that just reinforced it’s okay for me to do these things. He’s still written some wonderful books. Although he’s a financial adviser we agree to disagree on a few things. Jane: Let’s get into it. Obviously, you have dabbled as you said in subdivision, development, and a bit of renovation. And I know that you’ve been doing some of those now as well. But how did the system and your personal philosophy that then took you through the rest of the years develop? Over the years I just developed this buy into the formula that was built around basic properties. Even the holiday units, a lot of them didn’t quite work out either. So I can just reinforce that the formula is very simple, very basic, stick to it. Jane: The basic system that you talked about over the last 40 years, buy, keep it, basic little renovation, does that work today do you think in today’s market. Jan: My philosophy hasn’t changed. But yes, it certainly does work today. I don’t think anything has changed in thousands of years. It’s always been the landholders of England. And we can go back to 1066 with the Norman invasion and William I distributed all the lands to his favorite barons, and earls, and everyone else. And today they own probably 90% of England. It’s a sad story really, but that is the fact of life that it’s not just a recent invention that buying land with property on it is a good investment. It’s always been that way. If it’s got a property on it that rents then the financial system at the moment favors that kind of investment rather than just holding land. Jane: I think you and I have to be grateful that they have changes a few things and now women can actually own land. Jane: The buy land, hold it, and watch it go up in value. There are so many benefits for that. And when we put it in the context I guess of wealth and family can you just talk to that for me? Jan: I’ve chosen this particular way of borrow, buying, and keeping, particularly properties in the lower end because I had a career. I was a math teacher, I hope a good one. I taught zoology and then later on biology, And then as we were buying a lot of properties I have my very own family and I wasn’t working. So I had to get in things that I considered not risky. The main benefit of doing my way is that it wasn’t risky and you could concentrate on a career. And that career might just be whatever you’ve chosen, as a teacher or a solicitor, or domestic, it doesn’t really matter. And then it might still be that you’ve had a family. But this doesn’t require any particular skill if you shovel your money into property and keep it along the way. That’s what I like about it that the biggest benefit is that anyone can do this but it takes time. Jane: I think the kind of disclaimer there is that you could say you could buy any property and it will go up in value. But the reality is some areas go up faster than others so it might take you 50 years to get to the same point that in other property could get you in 10 years. Jan: That’s right. If you’re buying property with a view to making a fortune over the next 2 or 3 years forget it, you’re in it for the wrong reason. Jane: Absolutely. Let’s talk about for people who are just starting out. My gosh, I know when I was starting out there’s so many competing strategies and ideas out there. It can be confusing. What are some of the different strategies and ideas, or even lies that you’re hearing at the moment. Jan: The get rich quick schemes, they don’t work. You’ve got to have the right kind of personality to be what I call a gung-ho investor. And I think personality comes into it quite a lot. People will play on this idea that you can get rich quickly. And everyone in the audience jumps up and says, “Yes, that’s me. I want to get rich quickly. But very soon they’re disillusioned because they realize they don’t want to put everything that they are on the line. They don’t want to stop working at their normal job. They don’t want to get into risky investments. And at least I realized that very early on that that wasn’t my personality to go down that gung-ho trap. And so I think people, if they accept who they are, and that the get rich quick schemes are running for a 0.01% of the population. Then move on, get your career, have your family, and do this kind of on the side. There were sometimes in the early years I never even thought about the property, they just kind of looked after themselves. I think the other thing that holds people back when they’re investing is that there’s a lot of those who’ve never tried it, family, friends, and who will almost put a block in front of you. You have to then be strong enough to overcome that. Jane: Absolutely. That’s why picking up a book that’s 20 years old is just as relevant today as it was back then I think. You’re saying the media, and I know that you comment on things in magazines often. What are some of the misconceptions that people have and where do you see people who are going wrong today that are just starting out? Jan: It comes back to this get rich quick idea and they need to understand that it takes time. It just takes time. When you’re young and you’re 20 it’s very hard to look ahead 20 or 30 years and decide that you’re going to take action now and reap the benefits 20 or 30 years later. But that’s a hard concept for people to get hold of. But it’s just one of those things that you need to bite the bullet, and it takes time, and it takes debt because you can’t possibly save the amount of money that you’re going to need in retirement. I think the compounding effect of time and debt is the most important concept in building wealth through investment property. Jane: It’s such sound advice. I often speak to people who have been to a seminar, or they’ve read the latest book, or they’ve read something about the latest craze of property investing, and it seems like by next year they would’ve retired. Jan: Yes. You’ve got to get back to basics. You can’t be gung-ho. Of course everyone leaves a seminar on a high, but you’ve got to come back to reality. But then on the other hand you just can’t turn into a gonna, “We’re gonna do this and gonna do that.” You have to do something but at a level that suits you and your situation. Jane: And sometimes having too many options is the thing that can stop you because you feel like you can’t choose, rather than those you have to do something. Jan: Yeah. It’s like a kid in a lolly shop. They don’t make up their mind and spend an hour looking. And sometimes you only need a half a dozen properties to look at and you can sign one that will suit the bill. Jane: It takes time. You do have to go and look at those properties. Why should people go to all these trouble? Is it easy just to wait for the pension? Jane: Yeah. How much does the comfortable living take? Jan: You could talk to 10 people and then will all leave a different… They all need a different amount. For some people two properties would be enough. For others they can’t do without 10. It’s usually those who think we’re going to need 10 because they’ve got an extravagant lifestyle, they’ll never get the 10 anyway because of their spending habits right now won’t allow them to get to the amount that they need. Jane: The future living, their retirement fund aren’t they? Jan: Yes, that’s right. But again [Unintelligible 00:30:24] teaches us the cheapest and the simplest. And if I have a choice and I want to go and do things I’m not too proud to be seen in [Unintelligible 00:30:33]. I use a lot of second hand stuff and I do a lot of small renovations myself rather than call the plumber. I know how to change valves, I know how to change taps, and I know how to fix bench tops when the water’s got into the chip boards. It’s not as though I knew those things but I had to learn. And I learn a lot as I go along. I’m even learning today. Jane: It’s interesting, isn’t it? It makes me think of the book, The Millionaire Next Door. The people with the flashy cars, and I know I got ribbed by my friends for years having a 1995 second hand Rav 4 for 10-15 years. For me spending money on a car where I could put that on a deposit on a property. People going off on holidays, jewelry, or whatever, it just wasn’t on my agenda. I know what I had to work for to get to where I wanted to be. Jane: I guess the thing is about also living comfortably, often I challenge people to go back and kind of work out what they need to have a comfortable lifestyle. And it isn’t the number that they originally throw out, that I need a 100 grand a year, or even $75,000 or $50,000 a year. You can live quite comfortably and have your simple needs met on a lot less than that. And if that’s sometimes the first step for the first goal, and then getting to add a few extra luxuries in. That’s always a good thing too. Jan: It comes back to… I’ve just organized a trip on the Northern track but there’s no way I’m going to go the luxurious way. I’ll take my sleeping bag and I’ll sleep in the hut, and I’ll enjoy it. Then you don’t have to live simply. I’ll probably take it to the nth degree, but mind you when I fly to Europe and do our treks over there I’ll fly business class. But people need to get the priorities of what’s important and where can they save money. And it’s about not spending. It’s not about how much you earn and how much you make, it’s about what you do with what you’ve got. 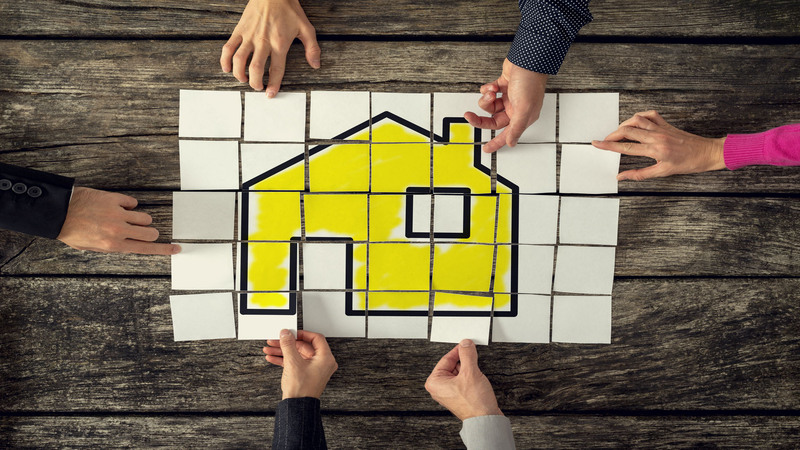 Jane: So if people do have then the savings or the equity in their home and they want to start the first move into property investing would you tell them to go and see a financial adviser or a financial planner? Is that first step? Jan: Logically yes, but practically no. Most financial advisers really have nothing to do with investment property, and because they don’t get a commission from us. And I’ve had arguments with the financial advisory industry many, many times over, and then booed down and all sorts of things. Because they don’t get any commission from recommending property. You need to do your own homework yourself. There’s no other way for it. And get that information together, read as many books as you can, talk to someone who’s done it before, and know a financial adviser or the official financial planner and list this specifically into property. It’s not a good idea because you’ll be sidetracked into doing something that you really didn’t want to do. Jane: Exactly. You obviously did a lot of homework, and I’d love to hear about where it all started for you and helping others do their homework. I think your first book was in 1992 where you really described your property investment journey. What kind of start of that process for you and why did you want to become an offer? Jan: I think that the first official book was in 1992. But there was a precursor to that that was called a manual for residential property in business. This, having a teaching background, and I was always good at research. It’s one of my fortes at the university. I had that power to read something and pull the eyes out and know exactly what it was. And so it kind of was a way of jelling my own thoughts together to put a little manual together. I was actually working in a real estate agency at the time and I thought this is something I could hand out to people or even sell to people. And I’d already been through it the financial consulting [Unintelligible 00:34:53] and I could see that wasn’t the way to go. I wanted something that was just not a one-on-one on my time. I could hand it out and people could do their own thing. So I wrote down a few notes and my husband actually typed it for me on my little Mac computer because I couldn’t type. When I eventually did type I actually liked writing the word property because I’d enter in A-R-T-Y, and those letters all around together on the keyboard and I got very good at typing A-R-T-Y very quickly. But later on I did manage to learn to type so to speak. And the book resulted. And the reason he book resulted was because we’ve sold about 5,000 of the manuals back in ’89. And I thought there really is a need for this. People are really interested in this and I don’t necessarily need one-on-one, face-to-face with people doing a consulting all the time. I had a young family at that stage. My kids were 10, 8, and 6. So I virtually took a year off and put together the first book, Building Wealth To Investment Property. There were no books on the market at the time, nothing on property. And it just became a runaway success back then. Jane: Imagine there was a need and you filled it. What is a runaway success? Did you publish it yourself or you had a publisher? Jan: Yes, I self-published, and we still self-publish. It just meant putting money where your mouth was. I was confident enough that I was going to get my money back. I knew I already sold 5,000 of these little manuals that got handed out. So we did a print run of 10,000 and it was just really self-published and it was all about just paying for it yourself. I employed a publicity person who was from the [Unintelligible 00:36:47] borough in Sydney. She was very good, Collin [Unintelligible 00:36:49]. She said, “What’s your angle?” I said, “What’s an angle?” She said, “What’s your angle? What is it that you’ve done that’s different that we can sell the story?” I said, “Nothing. I’m just a mom with a few kids and I had this idea.” She said, “Well, that’s the angle.” And away it went. We did a current affair in the midday show I think it was at the time and lots of different publicity events. And I really enjoyed that process of getting out there. I felt like I wasn’t selling anything. I wasn’t standing there selling soap. I was just selling a concept to people. They could invest in a $20 or $30 book and find out what to do themselves. But because I’d come from a very practical university situation I really enjoyed the process of actually writing the book. Jane: And I think it’s very… just your terminology there in investing in a book and we’re investing in education, often we look at things as a cost. But when it comes to books and education it’s always an investment isn’t it? Jane: I’d love to hear… I’m sure you get letters or emails now all the time from people who’ve read your books and had successes. Are there any that really kind of stand out for you? Jan: After I had done seminars, and often [Unintelligible 00:38:15] for probably 15 or 16 years. And people would bail me up at the end and tell me, “Look, I don’t want anything from you. I’ve already got your books. I don’t want to sign anything. But I just want to tell you we’ve done this, this, this, this, and this, and I want to shake your hand. It was a very humbling experience to hear all those stories. And later on that’s how I mostly got with the third book in the series, or the fourth book depending on what you call the first. It was Building Wealth: Story by Story. I didn’t have to do much work for that except format it because people had given me all their stories of how they had to choose things. But also there were some very disastrous stories in there as well. And I think to balance the book I’ve put in things that people told me that they could’ve done, should’ve done, and some of the things that they had done that work out very well for them. Jane: That book of stories is such a great balance because it gives people the aspirational opportunity to say coming up with a system, following the formula, getting it right, repeating it works. And those that kind of deviate or procrastinate then sometimes it doesn’t always turn out how you want it to be. Jan: No. There were certainly a lot of gonna’s that went to a lot of seminars at I did. Jane: Which it kind of brings me to I think the trendy term now is mindset. But one of the things about your books and obviously about your core message is that there are the gonna’s and you have to be of the right personality and risk profile, etc. But you don’t jump straight into talking about property investing and wealth, and you’re going to have the flashy car and the fancy plane trips. You just spend a lot of time talking about goals and attitude as well. Why is that so important? Jan: Because for most people it’s to borrow or to buy property. It’s a complete change in conventional thinking. The idea that good debt is okay, and that there are different kinds of debt is something totally new, because you can’t [Unintelligible 00:40:28] debt together. Debt on credit cards is just astronomical, and that is as bad as it gets. I’m probably one of those people that the bank asterisks because I make sure that all my bills are paid on time. So I’m absolutely no benefit to their bottom line at all. But good debt is okay. And I wanted to spell it out to people that it does need a change of mindset. And I think the book was a good way of doing that to outline this complete change of goal setting in attitude that needed to precede any formula. And then once I had created the formula it was important to set it out in dot point and make sure that the book was laid out properly so that it was very easy for people to read. One thing I hate when I pick up a book is someone’s created a book with a table that spills over from the bottom to the top of the next page. It just irritates me no end and it means if they haven’t spent the time to form the book properly they haven’t spent the time to research the information properly. And if you just open the book and I can just tell that every book I’ve ever written there’s a set of information that starts at the top of the page and finishes at the bottom. And I had an enormous amount of difficulty sometimes writing, writing, writing, and at the end I needed to cut out a few lines or a few words. And I could sit there for days trying to trim it down so it finished at the bottom. And the next page had a complete graph all to itself. Anyone who looks at those books today will see that the chapters will start at the right hand side of the page. I spent as much time formatting as I did collecting the information. Jane: It’s meticulous. I bet you that spills over to your renovations too. Jane: It’s interesting. I said to my husband when we’re talking about him picking up the book in New Zealand and me picking up the book here in Australia, and our first impressions. And he said, “For me it was the first book that wasn’t a book. It was like a handbook or a guide. It really kind of step-by-step takes people through it. It’s simple.” And I guess that’s the important thing isn’t it? Jane: Okay. For someone who’s listening now to the podcast and they’re thinking, “I’m going to take the plunge and I’m going to buy my first investment property.” Where should they start? What’s the very first step that you’d encourage them to think of? Jan: A lot of people don’t have a lot to show for what they’ve actually earned. They might be on $100,000 a year but because their spending habits are just way off the planet, they’ve got their big TV and their 2-door fridge, and their 4-wheel drive which has now depreciated in value into about less than a quarter of what they bought it for. They probably need to sit down and say, “How much have I made in the last few years? What’s my net worth? How much have I actually accumulated?” And for many people if you now discount your $1,000 fridge to $200. And your 4-wheel drive you spent $50,000 on it. It’s now worth $11,000. And in many cases they’ve borrowed to buy those things. So they’ve still got the $50,000 loan on the car that’s now worth $11,000. People would be horrified to think that they aren’t worth anything. They don’t have anything. They don’t have any net worth at all. In fact for most people they would have a negative net worth. So that’s the first step, is to see what your worth. Have a look at your spending habits to see where all of this money has gone. Jane: And then changing your attitude and start saving. Jane: I guess we’ll take people through the… look at what you’re spending and looking at your lifestyle, and saving a bit of money. They’re thinking about buying a property. And they’ve heard from you and I that being a bit [Unintelligible 00:44:34] is not such a bad thing and they’ve got some money behind them now. We hear a lot about location. So is the location of the property such an important thing or should we just buy close to the CBD. What’s location to you? Jan: Location is very important but it’s not necessarily the CBD. You need to be near infrastructure. So you don’t have to be in the CBD but provide or draw near a train line or above line. Then that makes a good investment, something that’s near infrastructure. And that’s what makes these great cities like London and Paris work is if they have that infrastructure. So that even if you’re a fair way out you still have access to the important things. And with that goes hand in hand the idea that a mining town just doesn’t work. I don’t know how many people. I’ve just had a chance to buy this property for $800,000 and I’m thinking of buying two of them and it rents for about somewhere between $2,000 and $4,000 a week, don’t do it. And now those properties are worth… Well, Port Hedland is a classic example, a million dollar property that now I can’t get $350,000 for. It’s important to deal with infrastructure. Those mining towns have only one piece of infrastructure [Unintelligible 00:45:54] then dies, then so do all properties around it. You don’t have to go to CBD. And tenants actually like properties in a location where it’s close to transport. So I would say that handy is the operative work, handy with a decent amount of infrastructure makes the best investment. Jane: Great advise. What makes a better investment than a property with a low rental yield and a high capital growth or a property with a higher rental yield and a lower capital growth? Jan: Okay. Both. Both can be good depending on the situation and it depends on a person’s income and their age. So someone who’s on the $230,000 a year has a medical practice. They can afford to go for a low rental yield at a higher capital growth. Someone who’s on a not so good income because they’re working as a cleaner can do equally as well. That’s not to denigrate that profession. Equally as well by buying a property with a higher rental yield and a lower capital growth. So someone’s who’s young on a higher income will go for the growth than someone who’s prepped older on a lower income might go for the yield. Each one has advantages and disadvantages but both working fully well depending on the situation. Jane: So if someone did have the borrowing capacity and they were looking at building a portfolio. Is it better for them to have a number of lower priced properties or a fewer number of more expensive properties? Jane: So that’s where you’ve concentrated your portfolio isn’t it? Jan: Yes. That was the backbone of our portfolio, cheaper properties. We have a number of expensive properties like holiday units and properties I’ve built because I couldn’t let go and where I’ve capitalized. But to be honest the cheaper properties work best for two reasons. You can always rent them out at a reasonable kind of rent no matter what the market is. If he’s got a very expensive property and it’s a downturn in the economy, no matter how much money you’ve got you can’t afford those properties, so you always have to drop the rent. So at certain times when expensive properties rent from not much more than a cheap property, so you might as well have bought a cheap one. And the other reason is at the time when you want to sell it, it appeals to a much broader market too can afford those cheaper properties. Jane: So if we’re just to clarify what a cheap property is. If a median price in an area is $500,000 and were talking in the ones that are right down the end at the 300. So we’re talking 10%, 20% below the median. Jan: I like to describe it as the bottom quarter of the market, but the top end of the bottom quarter of the market if that makes sense. So halfway between the absolute bottom and closer to the median price. And sometimes the median price is distorted depending on if you’ve got a canal estate or something else in your particular area, but not above the median price. Somewhere just below is something that rents well, sells easily, and you can’t go wrong. Jane: That kind of comes back to the whole low risk approach isn’t it, that you want the majority of the market in any financial economics trend, or wherever we are in the market to either be able to rent it or buy it. Jan: Yes. That’s what property investment relies on, someone renting it and ultimately someone buying it when you’re ready to retire. Jane: Which means that you kind of want a typical property, you don’t want the one-off special, different looking property in the area, you want something that’s just beige. Jan: Yes, run-of-the-mill, but very well maintained and that’s a pretty [Unintelligible 00:49:54]. You can’t get away with two elements in the stove that don’t work. You’ve got to have something. You’ve got to keep it up to scratch. Jane: Absolutely. And it saves you on the long-term too doesn’t it when vacancy rates because they don’t move out. Jane: For those people who have now bought their first investment property do you want to give us the steps of how to grow that portfolio? Jan: It’s a matter of just buying property when you can afford to. I’ve never ever looked at the cycle saying, now’s a good time to buy or it’s not a good time to buy. It always comes back to your own personal financial situation. That’s the best time to buy another property. And in the meantime there’s two ways you can build equity and that is you can rely on capital growth which may not be there year in, year out, or you can reduce the debt. So always help to have a particular property. While I’m a great believer in fixing interest rates and you can’t reduce the loan, there should be a third of that debt that have a variable right where you can shovel the money in as it becomes available and reduce that debt. So building the portfolio relies on buying the property when you can afford to and building equity, and not just relying on capital grow but reducing the debt. And the quicker you’ve got equity the sooner you can borrow again to go again. Jane: I’ve got some questions here from some of our students too. I’d love to just throw these into the mix and they’re in no particular order. Are you happy to take those on? Jane: Chris Young has asked that I ask you, if you were doing it all again and starting investing in properties how would you do it? Jan: Absolutely exactly the same. Not a single thing except to say I probably would’ve borrowed more. And if I can pass on any advice at all I would stick to my own rule, something which I haven’t done and I’m being fortunate hasn’t cost me any money, but it certainly didn’t make me any money in buying expensive properties, and doing subdivisions, and major, major renovations that weren’t worth it. My advice is stick to my own rules and I would do exactly the same again borrowing, buying, and keeping over that longer term. But possibly borrowing more than I ever did in the beginning. Jane: And I guess the thing is although some of these mistakes don’t cost you financially they can cost you in time can’t they? Jan: They certainly do. I think for the last 4 years in doing a development I was lucky to get 50 cents an hour. Jane: Absolutely. 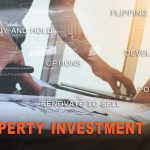 And even some of those investments that don’t work they can actually, or overcapitalizing on a renovation or buying a property in the wrong location that doesn’t go up in value, it takes the time to recover that position so it’s time out of the market that it could cost you borrowing capacity. Jan: It does. I guess the only good thing was I certainly learned an awful lot about councils and why I don’t want to deal with it anymore. Jane: Okay. You’ve scared me off. I’m definitely not going to look at subdivisions or developing… I’ve got a question here from Steven Ryan. What are the most important skills required to be a successful investor? Jan: There’s a couple. Patience is the most important thing. Don’t get sucked into the get rich quick scheme. You’ve got to have that patience to ride it out. And you’ve also got to have some good saving skills. We can’t believe that it’s only high income earners who can do this. And I’ve said before earlier in the interview it’s really what you do with what you’ve earned that makes a difference. So those saving skills are very important. Don’t keep chasing the higher income. Look at the way you’re spending the money. And so picking the market, it’s not something I’ve ever tried to do. I think if anyone could pick the market then there’d be a lot more millionaires out there today than there is now. I think it’s beyond what I even contemplate. My philosophy is not to try and pick the time but to get in and hold on for a long time. Jane: Good advice, time in the market. I’ve got a final question here from Stacy Walker from our student questions and she says I think with a degree of frustration. “If you ever created a non-productive portfolio what is the best way to rectify the mess? Jan: If you’ve bought a few duds it sounds like then selling can actually cost you more money. Sometimes the expense of getting out and into a better property may not be worth it. You need to do the sums on selling up, what are the cost, buying into another property, more stamp duty, etc. Unless you’ve bought a complete dud like in a mining town and you’re prepared to sit it out. Mining town’s another classic example and you may need to get out of something like that. It might be another 20 years before there’s boom. So cut your losses and move on. But in the meantime it comes back to those saving skills and save like crazy to build more equity to counter what your dud investment has just produced. Don’t sit and dwell on the mess. Move on. Make a decision to keep it or flick it and move on. Jane: Great advise. Because I think sometimes there’s such a low percentage of people who have an investment property who ever buy a second one. I think often that they’ve been disappointed by the first without being able to look at what they could possibly do to that property and maybe add some value to it. Jan: Yes. It’s also important then that you make the next decision but you don’t put what you already have at risk in trying to rectify the mess that you’ve already made. Jane: Let’s give Stacy some motivation here. Have you got a favorite property success story? Perhaps someone that their life has changed for their family or themselves? Jan: Lots of success stories. Kids are a good example. I never kind of forced them into property but they’ve seen what I’ve done. My second boy has only just discovered what property renovation is all about in he’s 30. I never dragged him along to renovations I was doing. He just kind of looks on the sideline. It’s nice that there has been things rubbed off on my own family. But there’s also so many thousands of people out there that have done exactly the same thing. I couldn’t even begin to count. It has changed their lives. It hasn’t given them necessarily the money to buy a Picasso but it’s given them sufficient financial independence. That’s what’s important. Jane: You can claim me as one of your success stories Jan.
Jan: Good. I’ll send you the bill later. Jane: Absolutely. Maybe I should just send you a bottle of scotch, eh? Jan: Yeah, sounds good. Glenfiddich’s my favorite. Jane: I’m on to it. I think a great takeaway today from today’s episode for someone who’s just starting out is there isn’t the get rich quick, there isn’t the magic pill. To become a successful investor according to you and what we’ve seen is there’s work that has to be done but it can be profitable. And we’re not talking about complicated things, we’re talking about a system that can be applied. And I think the thing is that I don’t know about you but have you seen any get rich in property fast products out there that have actually worked for anyone? Jan: I would say one in a hundred. There’s only someone and there’s always going to be an advertising program based around that one person in a hundred because that’s that one person who had that particular personality and a lot of good luck to make it work. But in general, no. It comes back to time in the market. And it comes back to people not wanting get rich quick schemes, instant gratification I call it. You can’t want too much too early. There’s a time factor. Jane: Yeah, absolutely. Jan, let’s talk about you. What’s happening for you now? What are you doing? You’ve mentioned you’ve done a couple of little renovations yourself? Jan: Yes. I haven’t exactly stopped working. I have stopped teaching but I haven’t stopped teaching in the sense that I’m very happy to help other people along the way. I don’t do seminars. I did a circuit for a long time and I’ve thoroughly enjoyed it and the interaction with people. But my time now, and I hope I’m still a role model to my family and for anyone else is that I do do a lot of hands-on renovation. I don’t necessarily do everything. If I’m buy, just about to go trekking overseas for five or six weeks which we do every year in the French or the Swiss Alps. And the agent emails and says, “This needs…” We’ll just get a plumber. I work long hours. I’m often up before 6 doing things, looking after all the financials of a large property portfolio is a job in itself. Jan: …and organizing trades people. But the nice thing is I can do as much or as little as I want. So if I want time off I take it. And I don’t think I’d want it any other way because the sooner if you stop doing things and the mind dies, the body dies, and you’ve got to stay alive and make life worthwhile, and I hope a happier place for other people. Jane: You’re a master of storytelling and I pulled a great analogy out of one of the books. You told a story about your son and talking about frog sitting on a lily pad. Can you tell us a bit about that and why it’s relevant to someone who’s just starting out? Jan: My 9-year old son who’s now my 32-year old son now, that was such a long time ago. He now has his own property portfolio but he understood that story even back then. He came up to me with a question and said, “There’s three frogs on a lily pad and two of them decide to jump. How many are left?” I’m a math teacher. I can work that out pretty easily, so I said, “There’s only one left.” He said, “Wrong. Three, because they only decided to jump. They haven’t jumped yet.” And I think that’s a classic in deciding an being a gonna. There’s a big difference between being a doer. You’ve got to be a doer. You can’t just decide. You can’t just read a book and decide. You can’t say I’m going to do this. You have to be a doer. Jane: Jan, this has been such a wonderful experience talking to you today. I really appreciate your generosity. Jane: I look forward to chatting to you in the future. Jan: Okay. I hope that works out well for you and I’m sure people will have learned a lot. John: Gold. I don’t care if there’s an episode three now. That’s enough. That was really, really great. Jane: Gosh, how could you top that? John: Perhaps with Suburbs Against The Clock. Jane: I knew you’d bring that up at some stage. John: Yup, that’s coming up. But I guess we better do a recap of what we covered. Jane: Oh my gosh, I learned so much. Where do you start? There’s so much information. John: Yeah, and probably fortunate. I’m sure she would’ve got there one way or the other anyway, but probably a fortunate timing to have that agent tell her that at the time that she was ready to buy and so on. Jane: And I guess also her warnings about that kind of quit your job and get rich quick kind of scam is for 1% of the population but it’s usually the loudest percentage of the population isn’t it? John: They make for great stories don’t they? They’re great magazine covers and made X amount in X amount of time and that kind of thing. But that really resonated with me. It’s a particular personality type and often they’re the ones that are willing to risk everything for the reward which was a good way of thinking about it. Jane: And you should never put everything on the line. But interestingly she said that if she could do it again she’d borrow more and do more. I feel exactly the same way. It started earlier, borrow more, do more, and back yourself with your research and knowledge. John: She also said that she dabbled in all these things and kind of ignored her own advice, and then subdivision and development of a building. And then kind of slapped herself on the wrist and return to a formula that she was suited to. Jane: And the fact that she’s still on the tools, she goes out and she does the work as well. I just think if you haven’t read her book read it. It is timeless and amazing. John: Absolutely. That stuff just doesn’t change. Jane: And I think just finally, that beautiful simplicity of what’s wealth mean to you it could be health, it could be freedom of time, independence, it’s what’s for you. And a lot of people concentrate on the money aspect of it and the reality is wealth is so much more than that. And just hearing that from Jan was for me the absolute bomb. John: Okay. What’s the time Jane? Jane: Are you going to tell me that it’s competition time? Narrator: Yes. It’s that time again where you get the chance to test your suburb knowledge while the entire nation holds its breath. Ladies and gentlemen it’s time to play Suburbs Against The Clock. The rules are simple. To play all you have to do is answer a question about 10 suburbs in the city of your choice within 20 seconds. The lucky winner of Suburbs Against The Clock will win one year’s free access to Your Property Success Club. 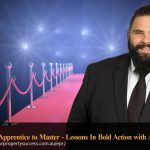 Your Property Success Club is an in-depth monthly master class which gives you the practical tools needed to grow your portfolio yourself without having to spend a fortune on expensive seminars, or even leaving your own home. So, who do we have standing by to play Suburbs Against the Clock? John: Are you there Megan? Jane: Megan, do you understand the complicated rules of this game? Jane: What is your city of choice? John: Okay. Jane, am I asking or you? Jane: Oh no, it’s all on you John. I’ll just count. John: Megan, you’ve got 20 seconds to name us 10 Brisbane suburbs within 10 kilometers of the CBD. Megan: Bulimba, Hawthorne, Toowong, Coorparoo, Ascot, Spring Hill, Bowen Hills, Fortitude Valley, Taringa. John: I think we have a winner. Jane: We have, oh my gosh. John: The sound of quiet applause. Jane: Oh my gosh you’ve had too much time on your hands. Congratulations Megan, that is a year’s membership to the monthly Your Property Success Club. Jane: Oh my gosh. Congratulations. I was there counting away and having just on the [Unintelligible 01:07:35] workshop up there. I’ve been staring at dot maps for a long time of the 10K zone. Good job with your answer. Megan: Thank you very much. Jane: Or they have some subjects that we can use because I think we’re going to use our thoughts up very soon. John: Yes. Keep them coming in. I don’t think we’ve got any from last week. If you like to be a contestant on Suburbs Against The Clock, please email support@yourpropertysuccess.com.au. That’s support@yourpropertysuccess.com.au. Jane: John, that’s it for today. Join us in episode 3 when talk to our next guest, John Edwards. The founder of Residex. A man who is virtually unrivaled in the field of suburb prediction and analysis. He spent his entire career putting his reputation on the line with his suburb predictions month in, month out, and has a lot of practical tips to share with us I’m sure. John: Yeah, I’m looking forward to that. Jane: And if you’d like instant access to the transcript of today’s show and all the show notes with the links to everything mentioned in the show, or go back to previous episodes you can go to yourpropertysuccess.com.au/ep2. That’s yourpropertysuccess.com.au/ep2. That’s it for today, Stay safe. And as always, here’s to Your Property Success. Narrator: Ladies and gentlemen, it’s important for you to understand that you need to take care in applying what you’ve heard on this podcast to your own personal circumstances. Everyone’s situation is different. And while we go to great length to ensure that everything we share is accurate, the information in today’s podcast was based on personal experiences and opinions, and is not intended to be specific to your circumstances. We are not real estate agents, financial planners, lawyers, or accountants, and are not liable for any loss, damage, or misunderstanding caused by reliance on any information provided or inferred. We highly recommend you seek out the services of a professional or mentor to help chart your own path to property success. Narrator: John, that didn’t feel right. Narrator: I think I may have stuttered a bit on the second line. John: I don’t think so. I didn’t hear a stutter. Narrator: Are you sure? You were listening carefully weren’t you? John: Yeah, I was listening. Narrator: Okay. I just want to make the disclaimer good. Narrator: Can we listen to it back?